With just 0.2 inch DUN is the world’s thinnest leather billfold. 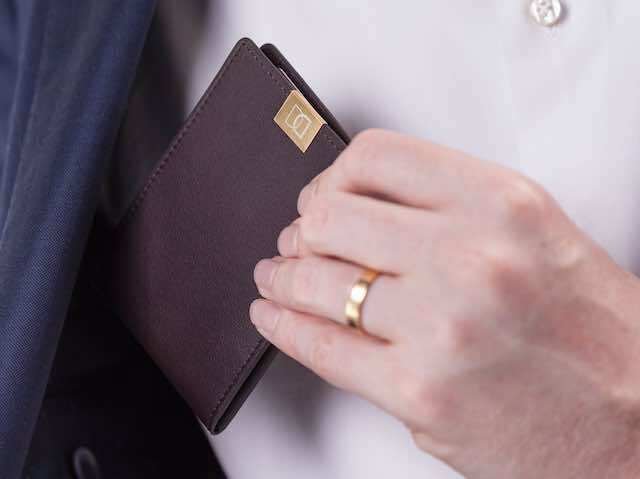 You can carry it comfortably in a front, back or shirt pocket: DUN is such a thin wallet that you hardly notice it’s there! The compact size of 4 inch (10.5 cm) long and 3 inch (7.5 cm) wide makes it the perfect everyday carry. 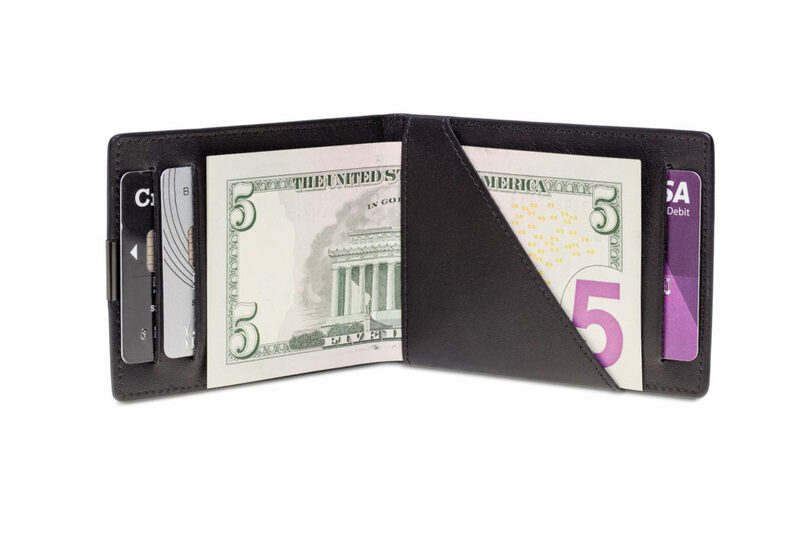 The DUN wallet has enough space for all your essential cards and cash. Everything is easy to access because of the signature cash strap and open lay-out. Dutch Design. Handmade in Europe. 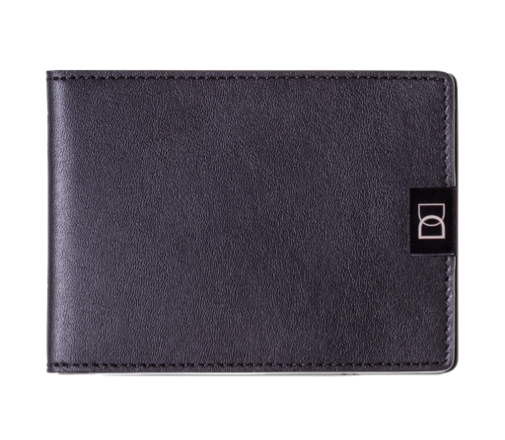 Making the thinnest wallet starts by selecting the highest quality calf leather with a perfect balance between thickness, softness and durability. 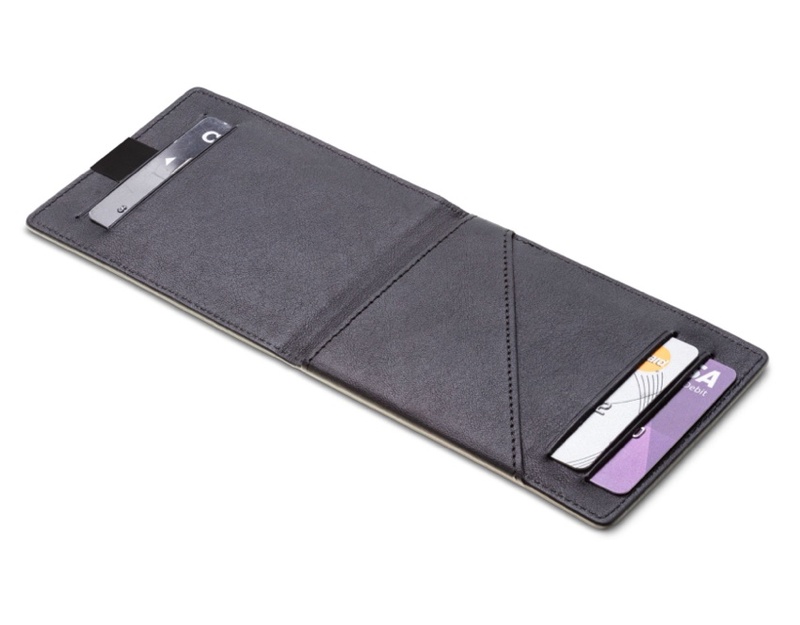 Each DUN wallet is handmade with great attention to detail, like the subtle grooves highlighting each credit card slot. 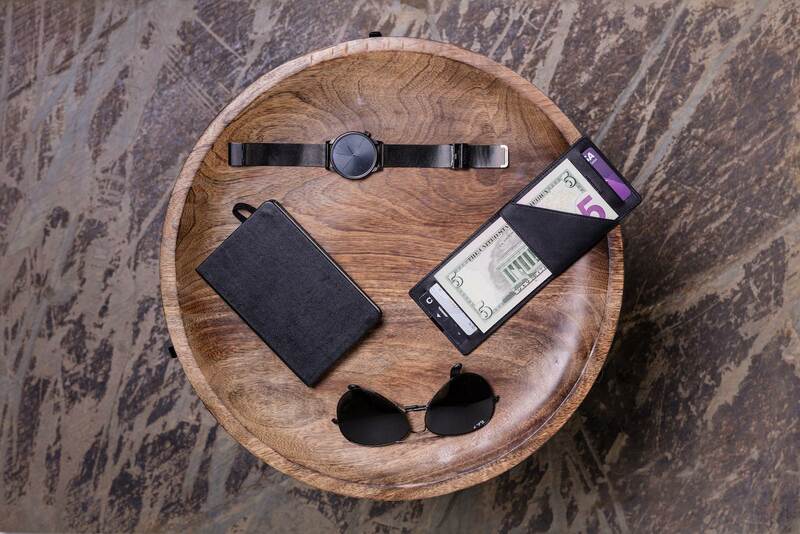 DUN wallet’s signature cash strap allows for 10 bills to be carried unfolded for easy access. 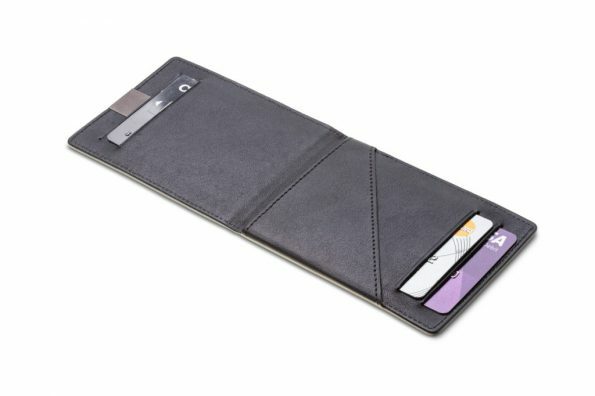 One of the card slots doubles as a coin pocket for some coins or a key. 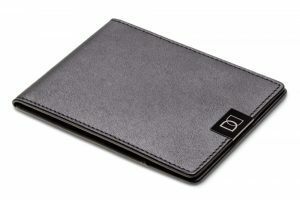 Finally it’s up to you how to use your DUN wallet; just make sure to carry what matters. DUN is made to fit most international bills unfolded. Its compact size and thin profile make it the ideal travel wallet. 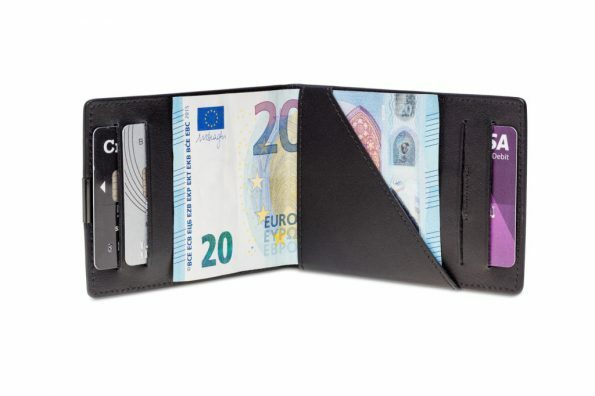 Being such a thin wallet; it’s hardly noticeable while wearing in your pocket, so it won’t attract pickpockets. The DUN Black Edition and our new DUN Fold take it even a step further; featuring the best German made RFID protective foil, your cards are protected against digital theft (skimming). Nothing to worry about on your next trip. DUN wallet – the world’s thinnest leather wallet. 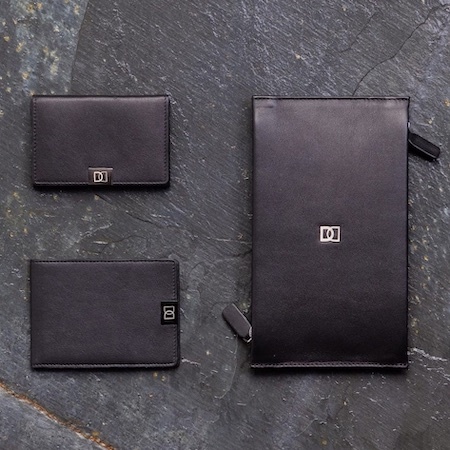 Also available in special ‘Black Edition’ with RFID protection, matte black leather and gun metal clip. Handmade in Europe from top-grain calf leather. When we say that the DUN Wallet is thin, we are not saying it for fun. With just 0.2 inches thin the DUN wallet shows that a minimalist wallet can be thin, beautiful and functional at the same time. 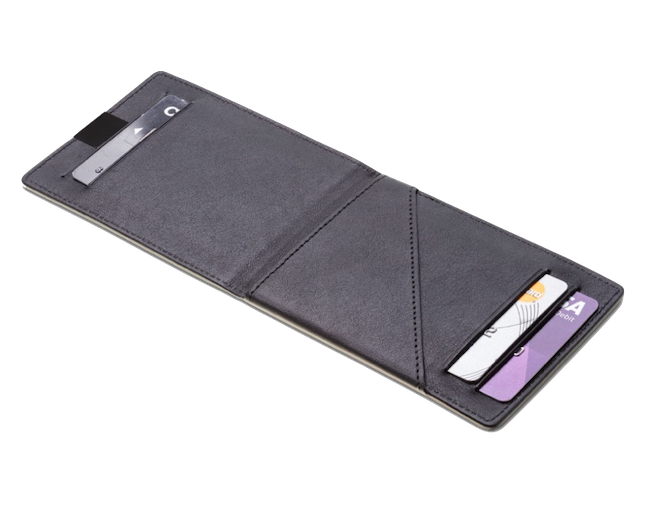 Thanks to its signature cash strap you can hold up to 10 bills unfolded; 4 separate card slots make for easy access to all your essential cards. 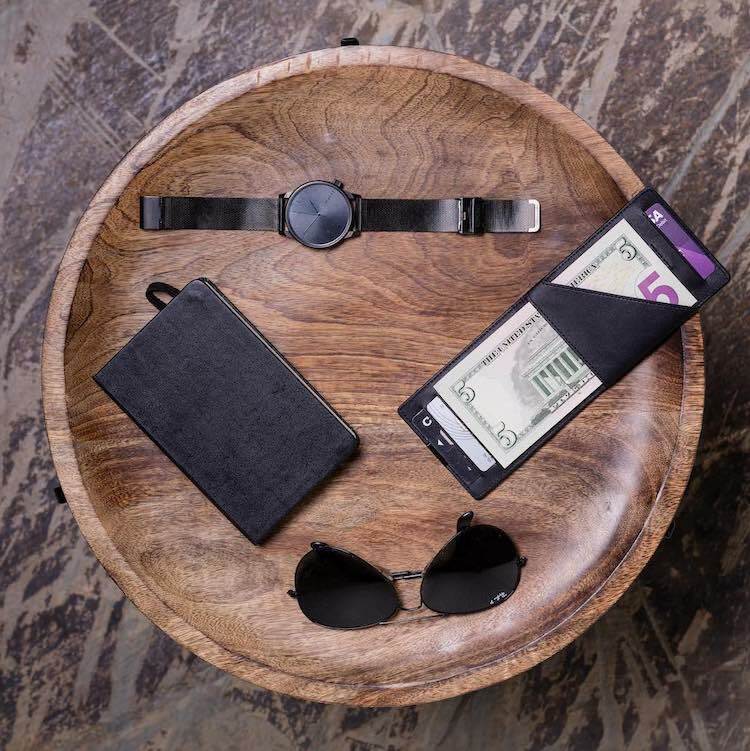 You can customize your DUN wallet by choosing between black or brown leather and the color of the clip. Or choose the special Black Edition with RFID protection and a beautiful black on black design. 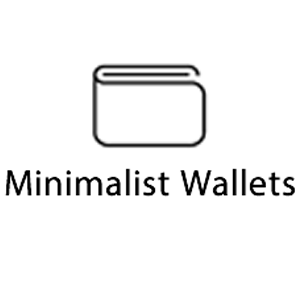 A minimalist wallet that you can personalize according to your own preferences. Its Dutch design stands out with a combination of an elegant exterior and a minimalist interior. As your fingertips glide along the smooth, matte leather it feels as beautiful as it looks. 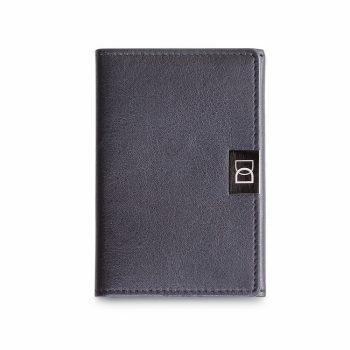 Only the best quality calf leather is used and ultimately the DUN wallet is made to last. 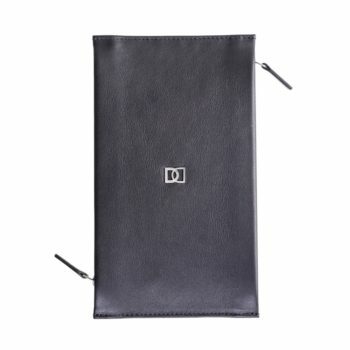 Wanted to let you know that I am absolutely loving the DUN wallet. Looks great, highly functional and low size profile make it my daily front pocket wallet. Been using mine for about 3 weeks now => Best wallet I ever had!!! Have used the wallet for 2 weeks now and thought it was nice. I can say that I appreciate it more every day! Great work and quality! Received mine today. Looks very simple & elegant. Overall the wallet is PERFECT. Thank you.